Not everyone can see. It takes a great eye and a great mind, and the liberation of that mind, to be able to transform the mundane, the everyday, the vernacular – into art. Brassaï’s folklore, his mythology of life, suggests that the life of others (those living on the edge) is as valuable and essential to the formation of culture as any other part of existence. 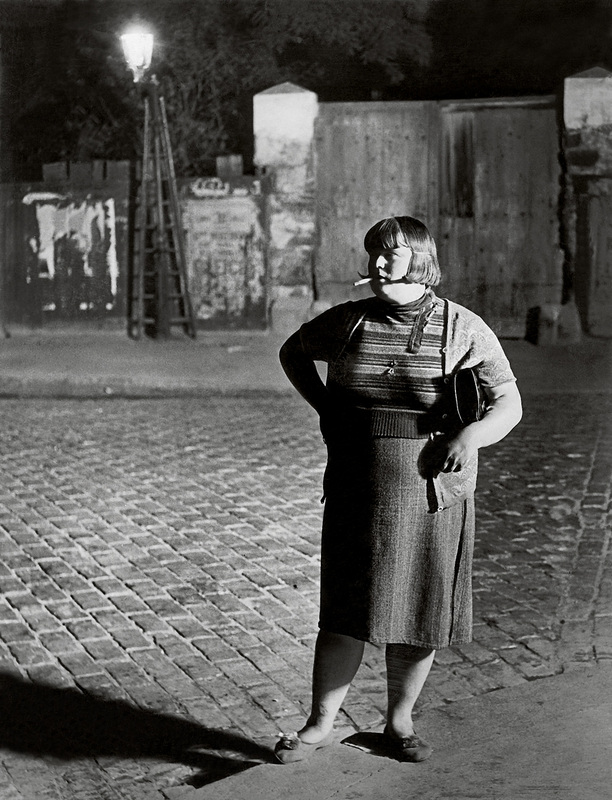 Brassaï’s work comes alive at night and, as Alejandra Uribe Ríos observes, “The night was undoubtedly the great muse of his work, his inspiration.” While he got some of his friends to stage scenes for his book Paris by night – acting as prostitutes and customers hanging around in back alleys – it matters not one bit. The artist was embedded in this world and represents what he knows, what he has seen in his mind’s eye. The density of his photographs is incredible – their atmosphere thick and heavy; revealing and beautiful. “In certain photographs, objects take on a particular light, a fascinating presence. Vision has fixed them “as they are in themselves” […]. It confers a density that is entirely foreign to their real existence. They are there, one might say, for the first time, but at the same time for the last.” The first and last, a circular compaction of time and space into the eternal present, objects as they are in themselves and will always be. 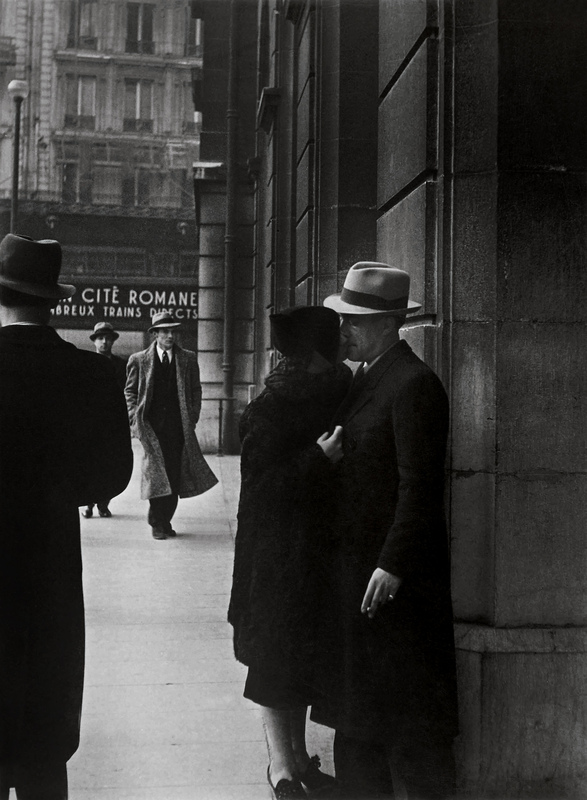 Brassaï saw something clearly, so that we might see it now. Look at the seemingly mundane space portrayed in Concierge’s Lodge, Paris (1933, below) from his book Paris de jour / Paris by Day. The photograph could be taken at night, but it is day! The small amount of sunlight falls on the tied-back curtain in the doorway; the crumpled mat lies outside the door; the two doors compete for our visual attention – one the solid presence that holds up the left hand side of the image, the other the vanishing point in the distance; and the eye is led down to this door by the pavement and the gutter with a band of water emphasising the form. The verticality of the worn and ancient stone work is emphasised by the modern metal box in front of it, leading the eye up to the Concierge sign only, mind you, for numbers 5 & 7. But then the mystery… what is going on above the ancient door at the rear – the sky, a ceiling, another wall lit by the last rays of the sun? Such a dense, complex image that requires an intimate knowledge of the mystery of place, in both the artist and the viewer. 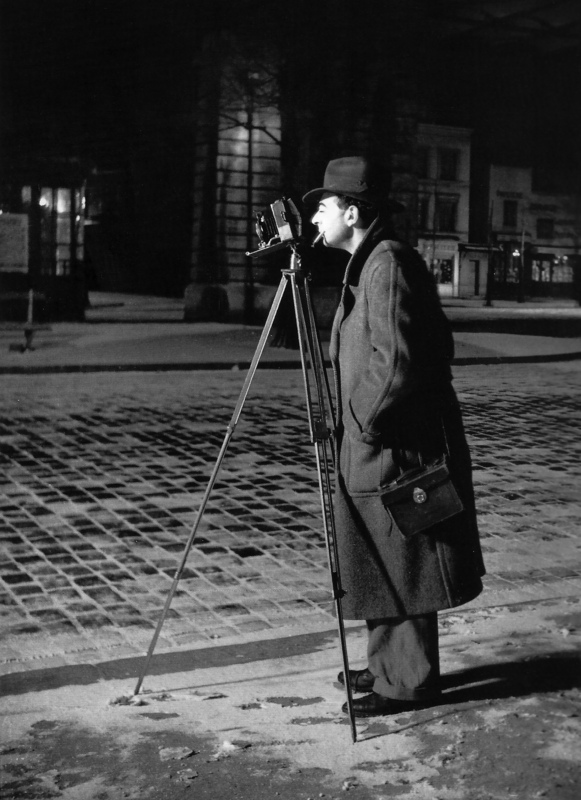 Here we see Brassaï in Self-portrait, Boulevard Saint-Jacques, Paris 14ème, standing in the snow at night, heavy overcoat, hat, cigarette hanging out of his mouth, squinting through his camera to previsualise not just the photograph he is taking, but it’s final, physical embodiment, the print. In our world today of Insta-photos, millions and millions of photographs that mean basically nothing, and where anyone without training can pick up a camera and think of themselves a photographer, there is something to be said for taking the time to train and educate your eye and your mind. Only then might you reveal something about the world and, possibly, yourself as well. Many thankx to Fundación MAPFRE for allowing me to publish the photographs in the posting. Please click on the photographs for a larger version of the image. Fundación MAPFRE is launching its 2018 exhibition programme in Barcelona with the exhibition Brassaï, a comprehensive survey of the career of this celebrated Hungarian-born French photographer whose work helped to define the spirit of Paris in the 1930s. Brassaï was one of the most important of the group of European and American photographers whose work in the inter-war years greatly enriched photography’s potential as a form of artistic expression. 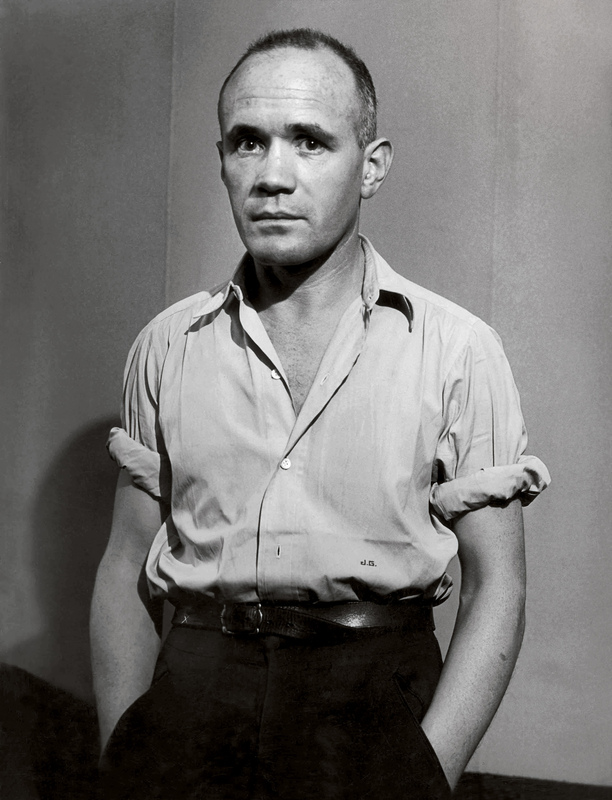 The artist began to take photographs in 1929 or 1930, maintaining an intense level of activity throughout the 1930s. 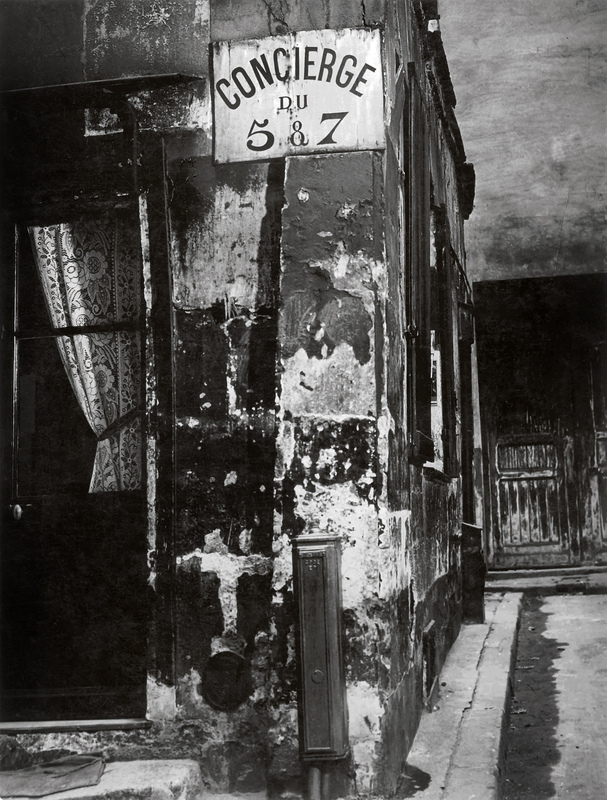 Brassaï’s principal subject was Paris, where he settled in 1924, intending to become a painter. Around the end of World War I the artistic centre of the city had shifted from Montmartre to Montparnasse where most of the artists, constituting a major international community, lived like a large family. 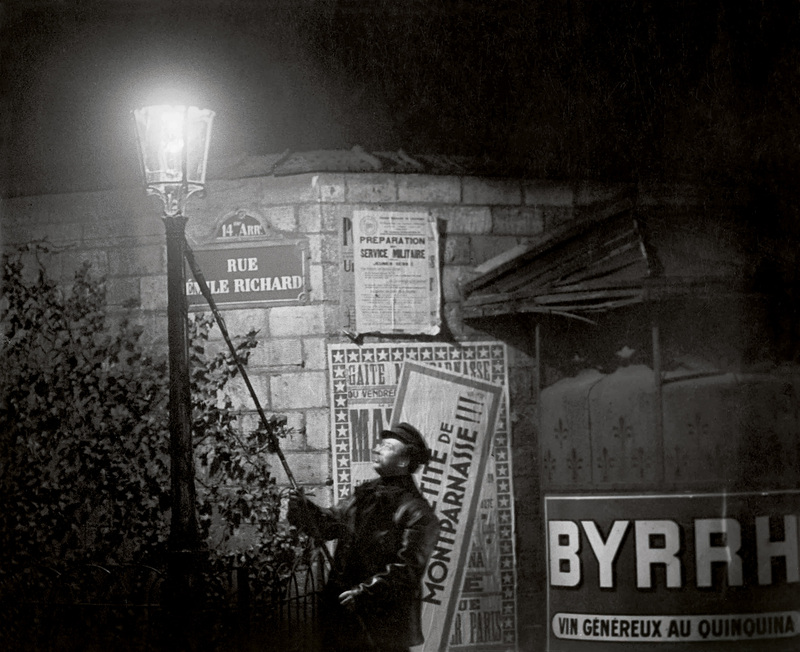 Brassï was fascinated by the French capital and later said that he started to take photographs in order to express his passion for the city at night. Soon, however, he also began to take portraits, nudes, still life, images of everyday life and depictions of picturesque corners of the city and moments captured during the day. Brassaï’s confidence in the power of blunt, straightforward photography to transform what it describes, as well as his talent for extracting from ordinary life iconic images of lasting force, won him an important place among the pioneers of modern photography. This exhibition offers a survey of the artist’s career through more than 200 works (vintage photographs, a number of drawings, a sculpture and documentary material) grouped into twelve thematic sections, of which the two devoted to Paris in the 1930s are the most important. 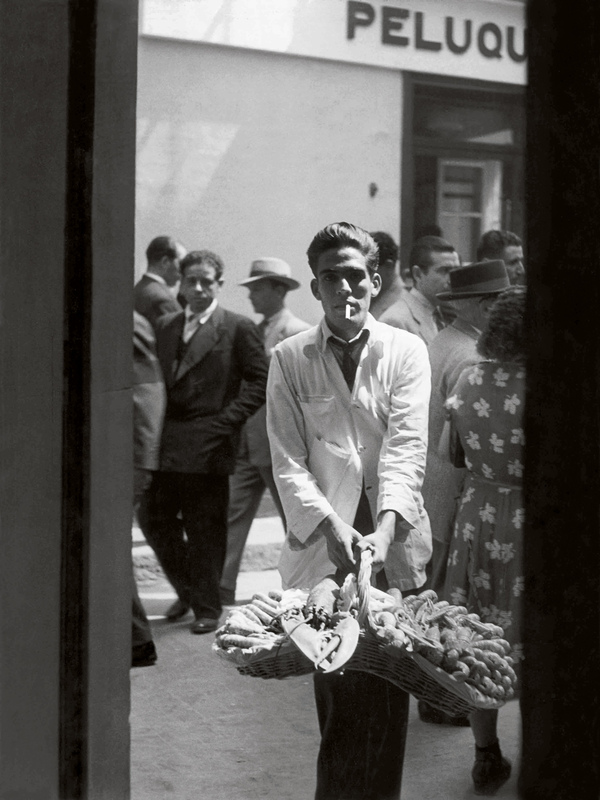 Produced by Fundación MAPFRE and curated by Peter Galassi, chief curator of the Department of Photography at the MoMA, New York, from 1991 to 2011, this is the first retrospective exhibition on Brassaï to be organised since 2000 (Centre Pompidou) and the first to be held in Spain since 1993. The exhibition benefits from the exceptional loan of the Estate Brassaï Succession (Paris) and other loans from some of the most important institutions and private collections in Europe and the United States, including: The Art Institute of Chicago, The Museum of Fine Arts (Houston), The Metropolitan Museum of Art (New York), The Museum of Modern Art (New York), the Musée National d’Art Moderne, Centre Pompidou (París), The Philadelphia Museum of Art, The San Francisco Museum of Modern Art, David Dechman and Michel Mercure, ISelf Collection (London) and Nicholas and Susan Pritzker. Brassaï (the pseudonym of Gyulá Halász) was born in 1899 in Brassó, Transylvania (present-day Braşov in Rumania), from where he subsequently took his name for signing his photographs (Brassaï means “from Brassó”). After studying art in Budapest and Berlin, he moved to Paris and very soon began to earn occasional money and establish a reputation by selling articles and caricatures to German and Hungarian magazines. Photographs were rapidly replacing traditional magazine illustrations and Brassaï also functioned as a one-man photo-agency. Eventually he started making photographs himself, abandoning painting and sculpting, disciplines for which he nevertheless retained great interest and to which he returned during his career. Around 1900, an aesthetic movement had justified its claim that photography was as a fine art by imitating the appearance of the traditional arts. It was not until the 1920s and 1930s that a new generation rejected that approach and began exploring the artistic potential of plain, ordinary photographs. When the tradition that they launched began to achieve widespread recognition in the 1970s, Brassaï would be recognised as one of its leading figures. During the German occupation of Paris, Brassaï was obliged to stop taking photographs and he thus returned to drawing and writing. In 1949 he obtained French nationality. After the war he once again devoted part of his time to photography and traveled regularly to undertake commissions for the American magazine Harper’s Bazaar. He died in Beaulieu-sur-Mer (France) in 1984 without ever returning to his native Brassó. Paris by Night was in fact the result of a commission which the publisher Charles Peignot gave to the young and still unknown Brassaï. The book, of which a copy is presented in the exhibition, was published in December 1932 and was extremely successful thanks in part to its modern design, pages without margins and richly toned photogravures. 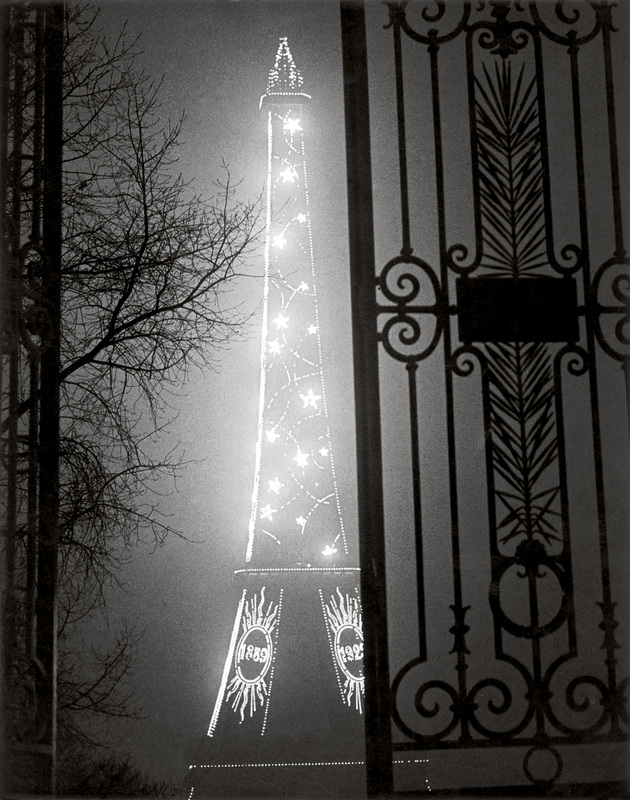 Brassaï continued to explore nocturnal Paris throughout the 1930s, developing a personal vision that is embodied in numerous prints in the exhibition. They evoke the city’s dynamic, vibrant mood: the close-up image of a gargoyle on Notre Dame Cathedral rather than a conventional view of that building, or the Pont Royal seen from the water rather than from above. These are almost always silent images in which time seems to stand still. When Brassaï reorganised his archive just after World War II, gathered under the rubric Plaisirs he included his pictures of small-time criminals and prostitutes and other figures of Parisian low life together with images of Parisian entertainments, including cheap dance halls to local street fairs to the annual entertainments designed to flout bourgeois conventions. 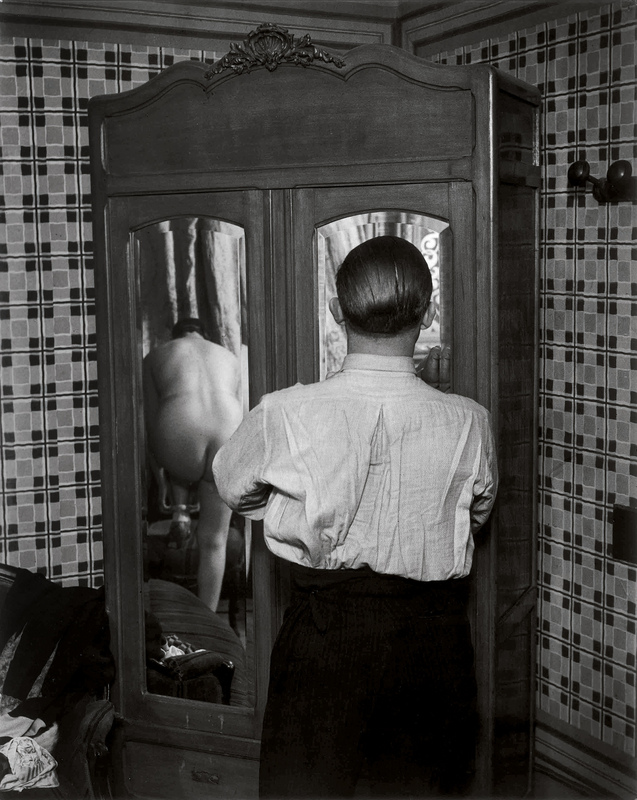 Brassaï obtained permission to work backstage at the famous Folies Bergère, which allowed him to observe everything that was happening from a high viewpoint. His images of Parisian low life transpose to the vivid new medium of photography a vital mythology that had been elaborated in literature and the traditional visual arts. 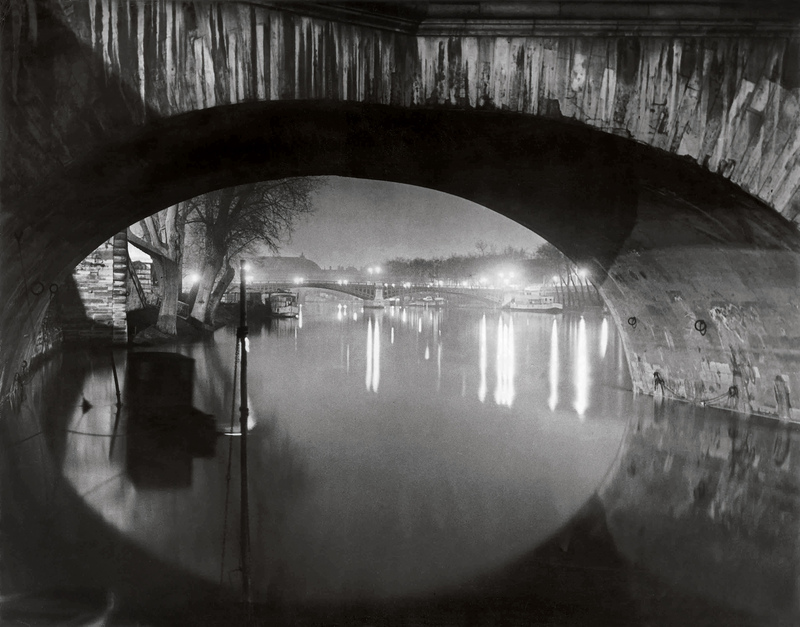 No one photographed Paris by night as skilfully as Brassaï but he also built up a considerable collection of images of the city by day. Its famous monuments, picturesque corners and details of everyday life are the subject of many of these photographs. Some of his images of the early 1930s reveal his interest in daring geometrical forms and abrupt truncation, for example his famous images of the city’s cobblestones. But even his boldest graphic experiments reflect his abiding fascination with the continuities of an enduring human civilisation. 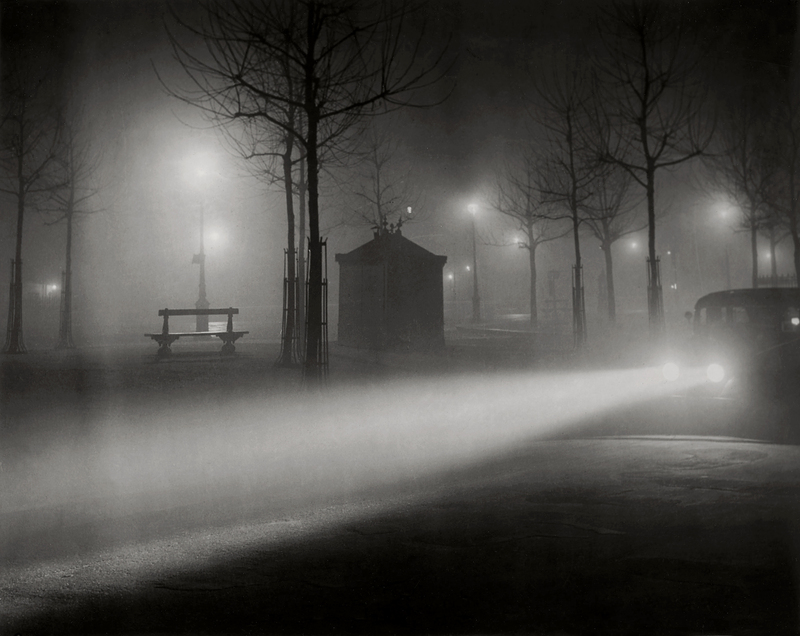 Nobody photographed Paris at night as accurately as Brassaï, but also accumulated a considerable collection of images of the city in daylight. Monuments, picturesque corners or details of everyday life play a large part in these scenes. Some of his photographs from the thirties also reflect his interest in geometric styles or abrupt cuts, as shown by the famous cobblestone images of city streets. But even these bolder graphic experiments reflect, like the rest of his images of the city, his permanent fascination with what for him was presented as a remote and inexhaustible tradition, in constant development. The notion of graffiti as a powerful art form first emerged in the 20th century. Like African tribal objects, children’s art or that of the mentally ill, graffiti was considered more expressive and vital than the refined forms of traditional western art. 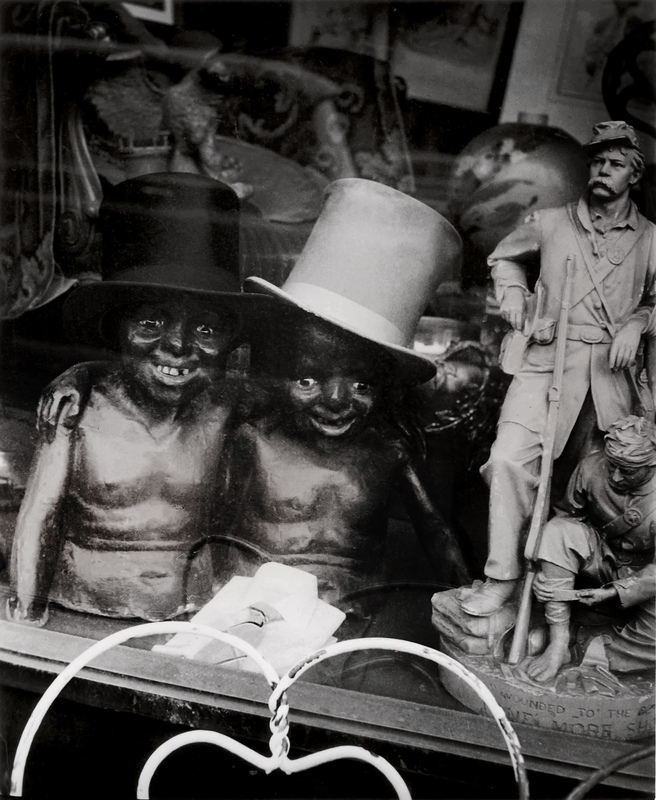 Brassaï was in fact one of the first to focus on this subject matter. He was an inveterate hoarder who throughout his life collected all types of cast-off objects and from almost the moment he began to take photographs he used the medium to record the graffiti he saw on the walls of Paris. He preferred examples of graffiti that had been incised or scratched to drawn or painted ones, as well as those in which the irregularity of the wall itself played an important role in aesthetic terms. He took hundreds of images of this type of which only a small selection is on display here. Between the time of his arrival in Paris in early 1924 and his first steps in photography taken six years later, Brassaï built up a large circle of friends within the international community of artists and writers in Montparnasse. They included Les deux aveugles [The two blind men], as the art critics Maurice Raynal and the Greek-born E. Tériade referred to themselves. In December 1932, the same month that Paris de nuit was published, Tériade invited Brassaï to photograph Picasso and his studios to illustrate the first issue of Minotaure, the deluxe art magazine that would be published in 1933 by the Swiss publisher Albert Skira. Copies of various different issues are on display in this section. This collaboration marked the starting point of Brassaï’s friendship with Picasso, one of the most important of his entire life. Over the following years Brassaï would play an important role in the life of the magazine, particularly with the projects for which he collaborated with Salvador Dalí and as an illustrator to texts by André Breton, although in some cases as an artist in his own right. The first number of the magazine included a series of nudes by Brassaï and his growing graffiti series, while number 7 devoted several pages to Brassaï’s nocturnal visions. All these evoke the artist’s modernity and his relationship with the most important circles of the Parisian avant-garde. 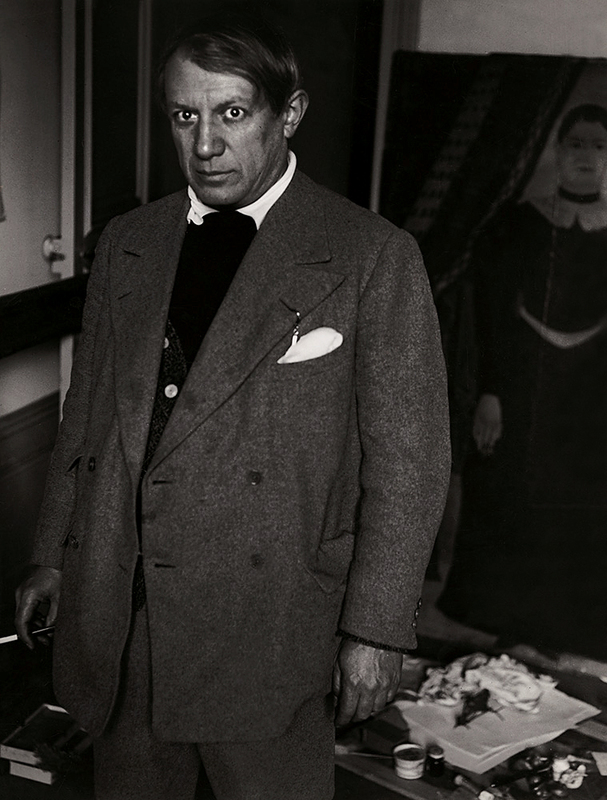 In 1949 in his prologue to Camera in Paris, a monograph on contemporary photographers, Brassaï paraphrased Baudelaire in The Painter of modern Life and established a line of continuity between the art of the photographer and that of some of the great artists of the past such as Rembrandt, Goya and Toulouse-Lautrec. 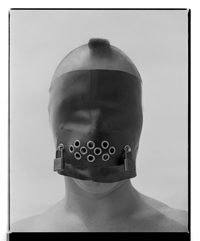 In this sense he explained how, like them, photography could elevate ordinary subjects to the level of the universal. The people depicted in this gallery reflect that idea as not only do we see a worker at Les Halles market, a transvestite or a penitent in Seville, but through the dignity given to them by the image all of them exceed their individuality and come to represent a collective. One of Brassaï’s earliest projects, which was never produced, was a book of photographs of cacti. Many years later, in 1957, he made a short film on animals. Most of his photographs of objects or places, however, focus on human creations, reflecting his boundless curiosity about the people that made them, used them or lived in them. During his trips Brassaï took numerous photographs of which a small selection are on display here: a view of Gaudí’s Sagrada Familia from a high viewpoint, a painted wall in Sacromonte, Granada, and a shop window in New Orleans. In some of these images, such as Vineyard, Château Mouton-Rothschild (June 1953), the viewpoint jumps sharply from the foreground to the background, splitting the image in half along its horizontal axis – a pictorial device invented by Brassaï. 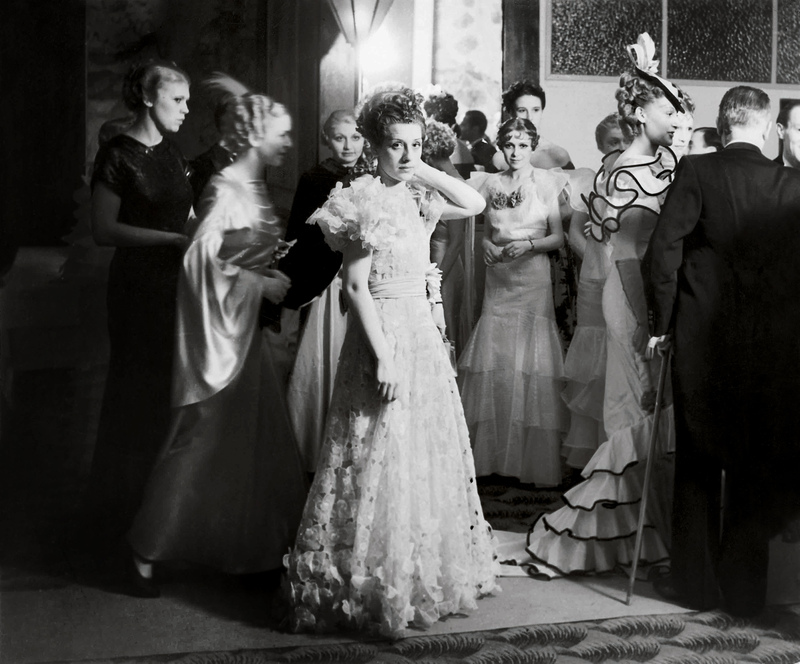 During the mid-1930s and just after World War II, Brassaï photographed at more than two dozen gatherings of Parisian high society – costume balls, fancy soirées, and other events both at private homes and such elegant venues as the Ritz – as well as the famous Nuit de Longchamp (the race course just outside of Paris) every summer from 1936 to 1939. 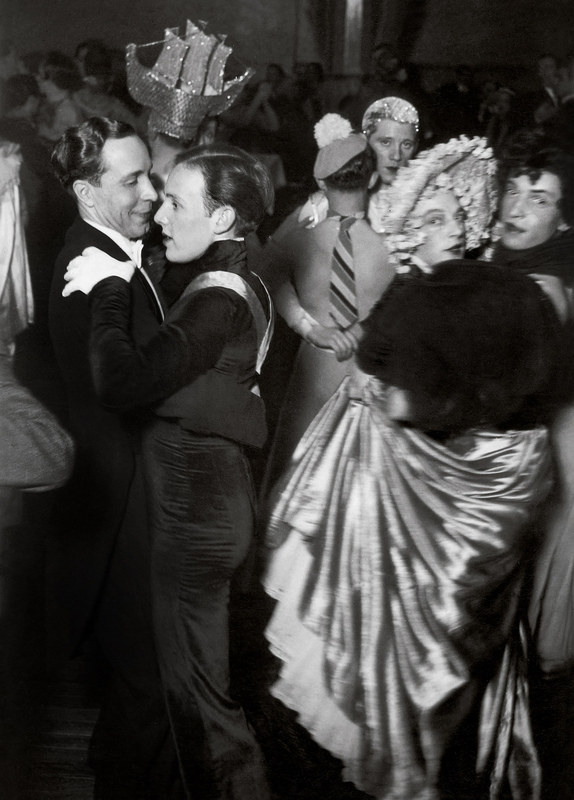 At these events he had much less opportunity to intervene in the action than in Parisian dance halls and bars, but he nonetheless was able to create lasting images of a distinct social reality. Perhaps the most extraordinary of them is his photograph of the celebration of the fiftieth anniversary of the Art Nouveau interior of the swank restaurant Maxim’s (completed just a few years before the Casa Garriga Nogués). Although that image has been famous since it was made in 1949, Brassaï’s series on Parisian high society is poorly known, and several of the photographs are presented for the first time in this exhibition. During the occupation of Paris (1940-1944), Brassaï declined to work for the Germans and so was unable to photograph openly. His only income seems to have come from a clandestine commission from Picasso to photograph the master’s sculptures. Partly at Picasso’s urging, Brassaï returned to drawing. Most of the drawings that he made in 1943-45, like most of the drawings that survive from his time as an art student in Berlin in 1921-22, are female nudes. 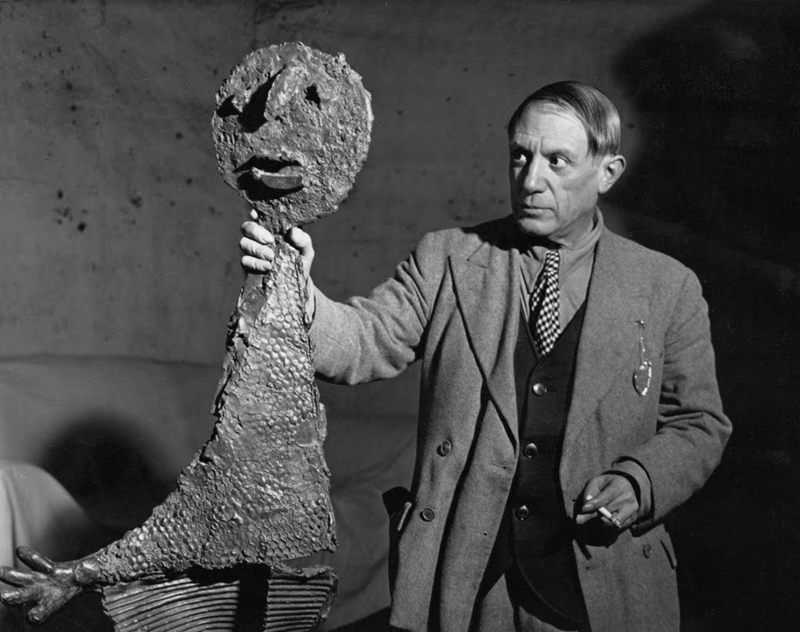 The same is the case with many of the sculptures that he started to produce after the war, often made from stones worn by the effect of water. It would be foolish to attempt to disguise the intensity of Brassaï’s male gaze behind the curtain of a purely aesthetic pursuit of “form.” What is distinctive and powerful in his images of the female body is their unembarrassed carnal urgency. Pablo Picasso, Salvador Dalí, Henry Miller (who gave Brassaï the sobriquet “The eye of Paris”), Pierre Reverdy, Jacques Prévert, Henri Matisse and Léon-Paul Fargue are just a few of the subjects of the portraits on display in this section of the exhibition. Most of Brassaï’s portraits are of people that he knew and perhaps as a result of that closeness they convey a powerful spirit of frankness, unencumbered by posturing. It is also true; however, that Brassaï regularly achieved that spirit even when he did not know the subject. Broadly speaking, the hallmark of advance European photography in the 1920s and 1930s was a new sense of mobility and spontaneity. 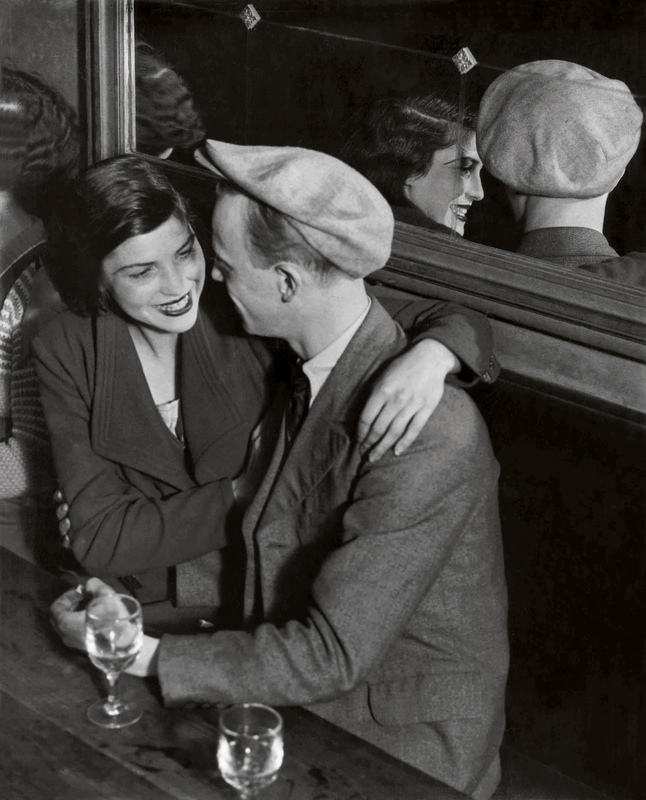 But spontaneity was alien to Brassaï’s sensibility, which instead sought clarity and stability. Instead of the popular, hand-held camera, a 35mm Leica, Brassaï chose a camera that used glass plates and often stood on a tripod. 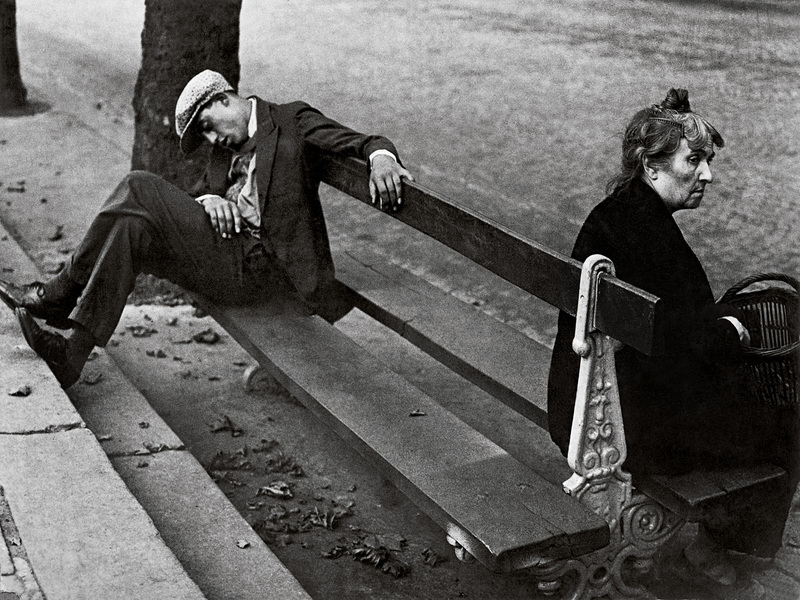 As if to declare his independence from the aesthetic of mobility, he chose sleeping in public as a recurrent motif. Brassaï’s work for Harper’s Bazaar led him to travel in France and in numerous other places, from Spain to Sweden, the United States and Brazil. While the roots of his talent lay in Paris he thus produced an extensive body of photographs taken in places that were unfamiliar to him. The exhibition includes a number of these works, three of them depicting Spain.